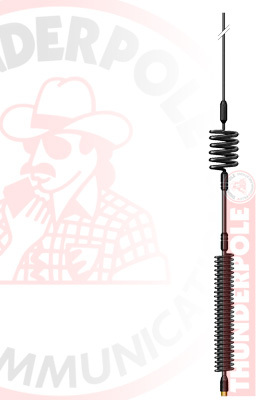 The 'Super Nova' (Black) is a high performance CB mobile antenna from THUNDERPOLE. The Super Nova is available in a large range of colours to suit any vehicle, to select a colour just choose from the drop-down list above. Supplied on a glossy retail card, ideal for hanging on display.